What if water could do even more? With water, salt, electricity and some know how, electrolyzed water can be created. The electrolysis of the salt solution produces a mix of hypochlorous acid and sodium hydroxide. The resulting water is a known cleanser and disinfectant or sanitizer. It is safe to humans and animals and because, over time it returns to its constituent parts, it is also environmentally friendly. 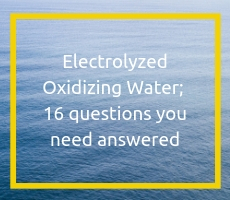 We understand that you will have more questions so with this in mind; we have answers 16 of the most common questions about electrolyzed water. What can Electrolyzed oxidizing water be used for? 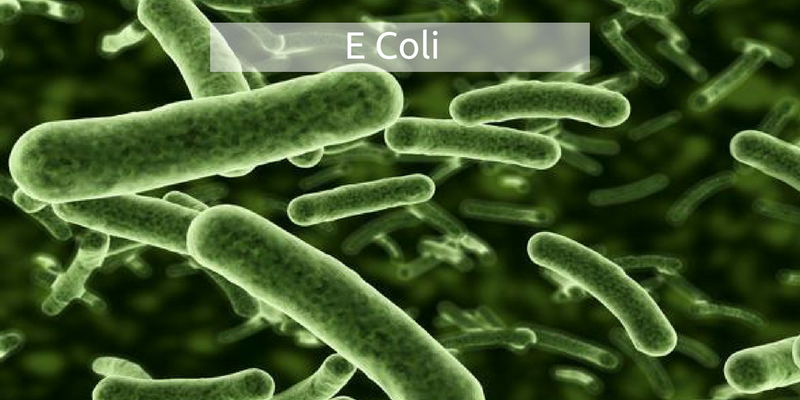 Put simply; when electrolyzed water comes into contact with a bacteria or virus, it causes an imbalance, breaking down its defenses and rendering it harmless. Why does electrolyzed water have a slight smell of chlorine? Once the ingredients have undergone electrolysis one of the oxidant species is Hypochlorous acid which gives the solution a slight smell of chlorine. Hypochlorous acid (HClO) is a weak acid that forms when chlorine dissolves in water, and itself partially dissociates, forming ClO-. HClO and ClO- are oxidizers, and the primary disinfection agents of chlorine solutions. Electrolyzed water is non-toxic, and safe to animals, humans and the environment. As of 2015 our product, ESOL™ has been approved by the Secretary of State under regulation 31 of the Water Supply (Water Quality) Regulations 2000 for use in public water supplies. When would I have to disinfect drinking water? When looking after animals, if you use municipal water (tap water) this will have already been processed and treated with chlorine by the water company. However, if the water is not replenished daily, the residual kill of the chlorine is no longer effective, opening the water up to become susceptible to bacteria. A daily dose of electrolysed water to drinking water ensures that bacteria and viruses are killed and a residual kill remains. In cases where animal’s water is not from a municipal supply (tap water), electrolysed water can be added to the water used to ensure bacteria and viruses are eliminated, making the water safe for consumption. How do I know if electrolyzed oxidizing water is working? With disinfection and wound healing, the changes and improvements happen at a microscopic level however, over a short period of time noticeable changes will occur. The Oxidation Reduction Potential (ORP) of water is measured using an ORP meter. ORP measures the dissolved oxygen in the water; the more contaminants in the water, the less dissolved oxygen (this is because the contaminants are consuming the oxygen) this results in a lower ORP reading. Using a hygiene testing kit with ATP swabs (Adenosine Triphosphate swabs) we measure the level of ATP on a wound or surface. ATP is present in all organic material and is the universal unit of energy used in all living cells. Knowing the level of ATP indicates any presence of pathogens. Do I have to dilute electrolyzed water? There are several companies where you can purchase electrolyzed water so ORP strengths may vary. We are only able to advise on the use of our product. General purpose sanitization of facilities and equipment: wash facilities and equipment as normal to remove dirt and organic material and then spray the surface with electrolyzed water. A 10 second contact time is sufficient to ensure disinfection. Wound disinfection and healing: Spray or dab electrolyzed water directly onto the skin of the animal. A 10 second contact time is sufficient to ensure disinfection however you can repeat this process as necessary without any risk to your animal. What do I do if electrolyzed water is accidentally swallowed? What do I do if electrolyzed water comes into contact with eyes or skin? Electrolyzed water will not harm eyes or skin but if it does come into contact with sensitive skin or eyes it is recommended that the solution is removed by washing with ordinary water. What happens if I inhale electrolyzed oxidizing water? How should I store electrolyzed water? All of our electrolyzed water products should be kept in a cool dark area in the container it was supplied in. How does electrolyzed water accelerate wound healing? 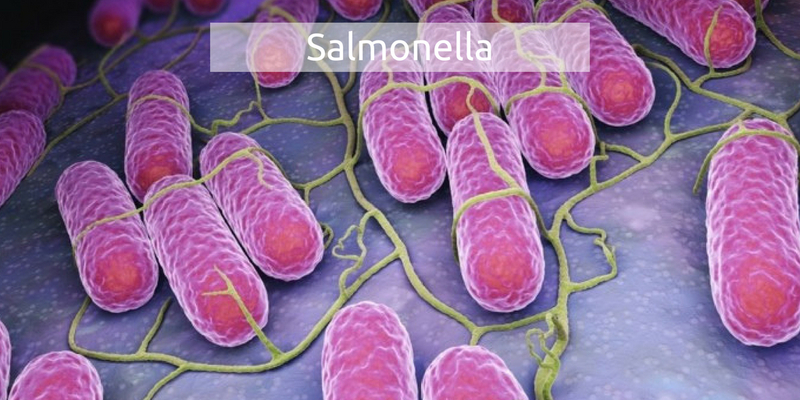 As with general disinfection, when electrolyzed water comes into contact with a bacteria or virus, it causes an imbalance, breaking down its defences and rendering it harmless. Reactive oxygen species stimulate DNA synthesis and cell division, replicating naturally occurring DNA, and repairing the wound. We have covered the most frequently asked questions that we get from our customers; do you have any that we have not answered?